It includes total livestock sales and purchases for each stock class, total milk solids and other areas where a quantity has been recorded against a code. You can choose to view this section by either financial year or by transaction date. 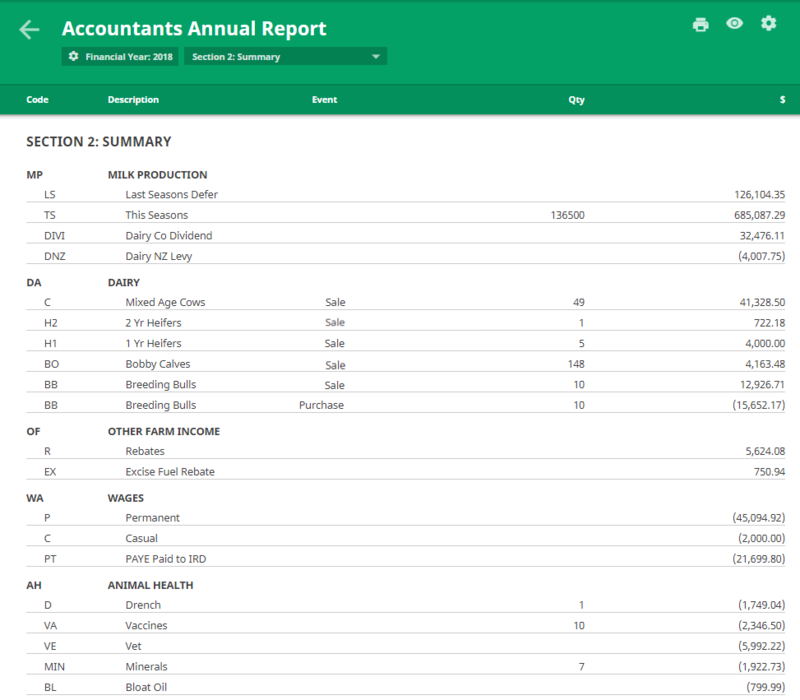 When viewed by financial year, this section includes all bank transactions that occurred between the start and end of the financial year. It also takes into account all paid accounts payable and paid accounts receivable that have been recorded in Cash Manager Focus. TIP: Paid accounts payable and receivable are invoices and livestock events that have been matched to a bank transaction. When viewed by transaction date this section includes all bank transactions that occurred between the start and end of the financial year. It does not include paid accounts payable and paid accounts receivable that have been recorded in Cash Manager Focus.